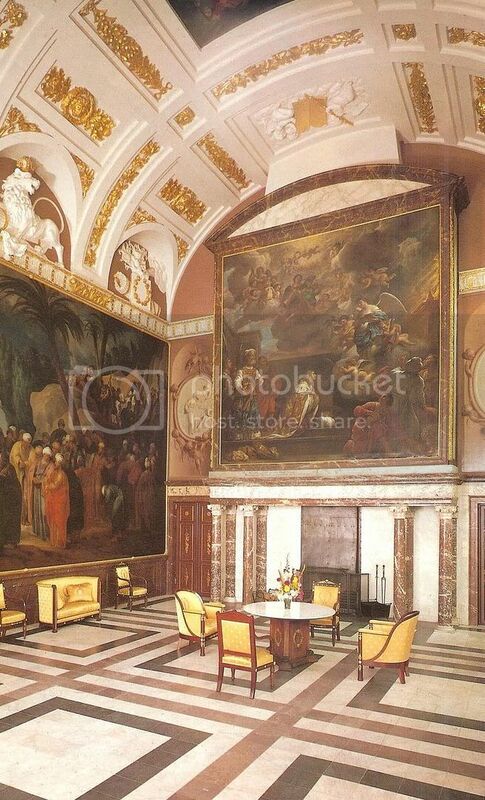 The "Moses room" in the Amsterdam royal palace. It is called the Moses room after the huge painting at the left wall representing Moses choses the elderly. And indeed again empire furniture, the greatest collection outside France. Mozes Hall at the Royal Palace,Amsterdam,venue for the Signing of the Instrument of Abdication on april 30th 2013. It also served the same purpose in 1980.
as she purchsed it privately from the . Since the opening of the exhibition at Het Loo Palace on HM Queen Beatrix on january 31st,her birthday,over 70.000 people visited the exhibition.